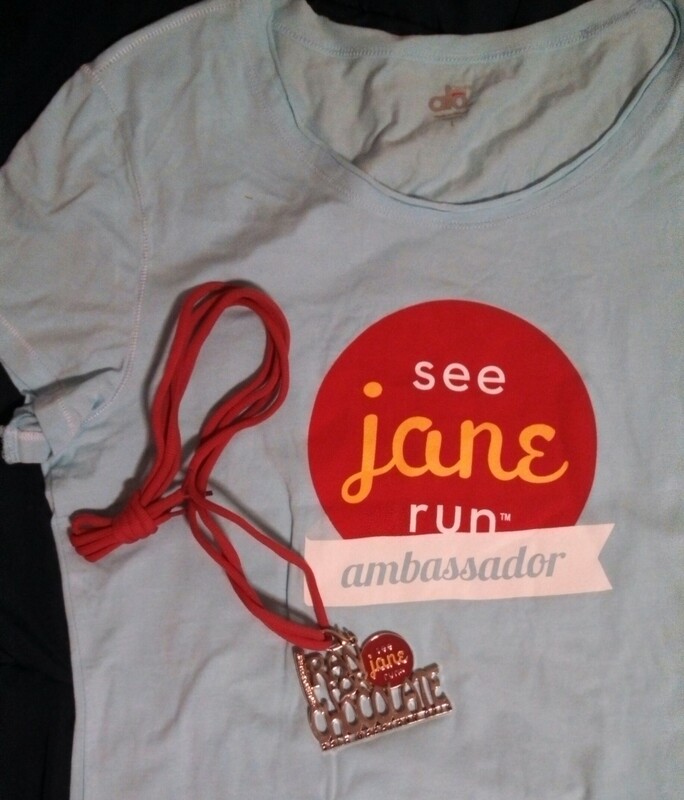 This past Saturday I had the pleasure of running the See Jane Run half marathon in Alameda, CA. I’d been planning to run this for a few months, but it managed to sneak up on me before I knew it. Don’t get me wrong, I did several long training runs before the day of, but somehow it didn’t sink it (this is a recurring problem for me). So I set to bed early on Friday and woke up at 5:45am ready for the day. 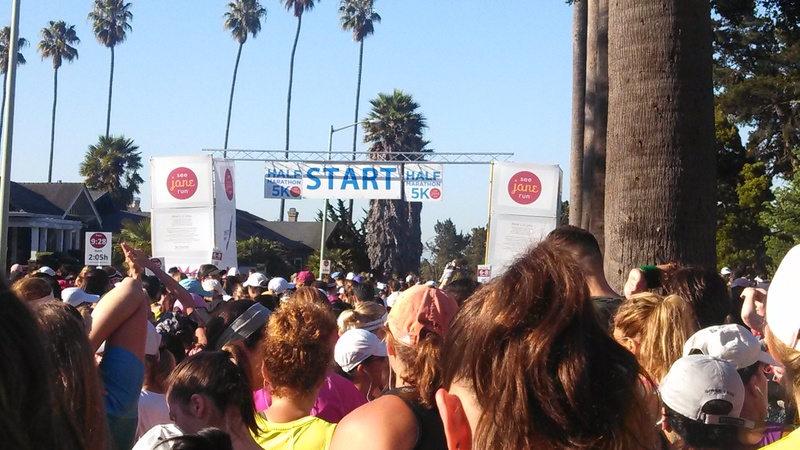 Suited up into my typical race outfit, capris and a pink top, then dilly-dallyed for some time. Around 6:15am I got into the car to head up to Alameda early as I wanted to grab a bagel before the race. Well, those hopes were dashed when I saw how crazy the parking situation was. Packed start line. We were ready to go! As we get going we were actually quite positive. We realized that, with this flat course, there was a very solid chance that we can set a new PR for Maggie. And we set out to do just that. We started jogging with the other Janes at a steady clip. Mile 1 was a bit faster than I’d have liked (because I’m oh-so-conservative), but it felt good. Then we found ourselves on a completely uncovered straight away. Apparently Alameda is hotter than San Francisco, I had no idea that the weather forecast for the day was sweltering. But then after eight miles of running in the uncovered heat, both of us became a bit disheartened. We’d been doing great, chasing the pace group right in front of us, but the heat was taking its toll. The time for our ninth mile (and every mile following) was drastically longer than the first eight. I tried to keep our spirits high, with a smile on my face and loudly cheering for everyone we were with. 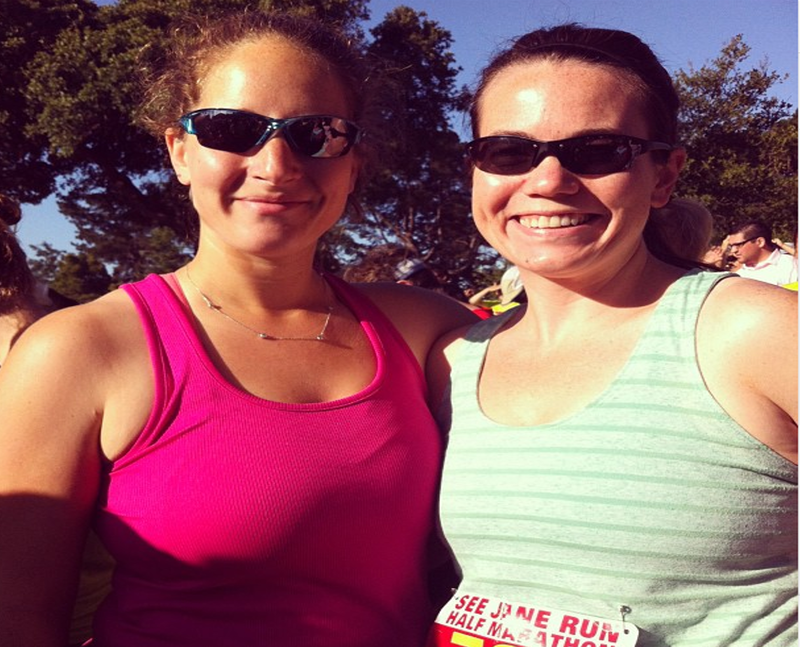 Unfortunately my positive attitude couldn’t get us to push much harder, that heat was killer. Approaching the finish line we picked it up into a sprint and finished strong. 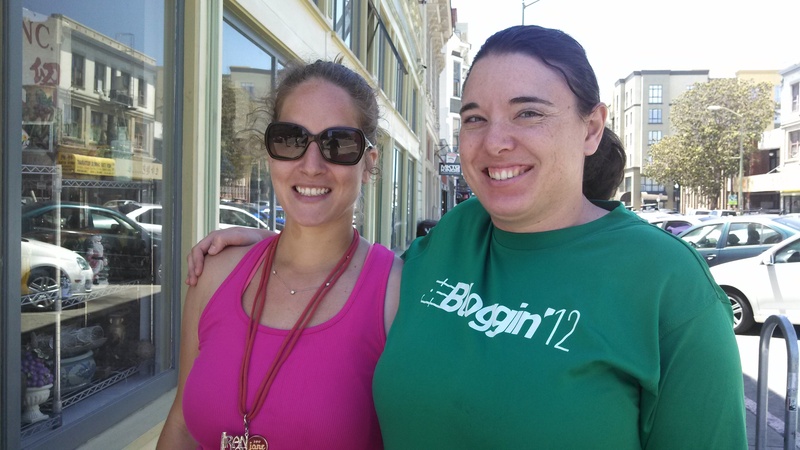 Although we didn’t make our goal of PRing, we finished together and in fairly high spirits. Moments later Katie came applauding over, so proud of our effort. My lovely ultimate frisbee pal Katie had conquered the 5k and was kind enough to wait for us. We immediately grabbed some champagne and took a much needed seat to gab about the day. It wasn’t even 11am yet and I was beat. By the time we stood up again my legs were very confused, but brunch needed to be consumed! For the majority of the race I insisted on telling people my reason for running – bacon! So I was quite pleased that we made it to a nice restaurant to monch on some. I’ll admit, it wasn’t my favorite bacon, but at that point almost any would suffice. Overall it was a great morning spent with some lovely Janes. So, would I run this race again? Only if someone tells mother nature to take it easy. I’m not a fan of being active in that type of heat, and most certainly not if I’m in direct sunlight for several hours. But this is definitely a course I’d run again (in the winter), completely flat and scenic. The field is fairly small but incredibly supportive, which was incredibly helpful as my energy decreased. And the shwag? Awesome. Check out the new medal I’ll be rocking! What do you run for? Chocolate, champagne, beer, cupcakes?